Bill Sidey wants someone he knows well to watch his kids while his wife has surgery, and so he looks up a rank old cowboy, Calvin Sidey, who happens to be the father who virtually abandoned him when he was a boy. There’s a plainspoken toughness to this writer—nothing of the lofty soliloquizing of Ivan Doig or the verbal dash of Thomas McGuane—that has led to him be overlooked in the large herd of fine Montana novelists. 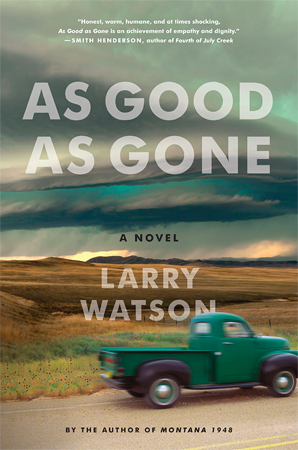 As Good As Gone is the latest of his books to forge satisfying drama from the intersection of Western mystique and middle-class reality...Mr. Watson points up some grubby truths behind the archetypal Western tale of the loner who comes to town and dispenses rough justice. 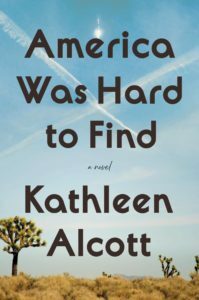 It’s typical of this thoughtful novelist that the ending of As Good As Gone is nuanced rather than explosive, and its traces of heroism are found not in violence but in a show of restraint. Whether Watson is describing the inside of a 1952 Ford Tudor, a homey tree-lined street in Missoula, an afternoon branding a herd of cattle, or a pair of elderly strangers making love as spontaneously as a prairie thunderstorm dropping from the big sky, he writes evocatively and with great persuasion. But don't think this is only a novel of pretty descriptions. There is tension and menace on almost every page, and Calvin finds himself in the middle of most of it...This book is vintage Watson: laconic, dramatic and tough as a dry Montana stream bed. In As Good as Gone, Watson doesn't stray too far — geographically or thematically — from the territory he explored in his acclaimed 1993 novella Montana 1948. That's not necessarily a bad thing; at his best, Watson evokes Big Sky Country as well as Montana writing legends like Ivan Doig, Jim Harrison and Norman Maclean. And like those authors, Watson is a naturally gifted storyteller, plainspoken and unpretentious. In the context of a Western novel, it's a great voice, evocative of the West, and it works best when Watson is writing about Calvin ... Watson has his finger on the pulse of a certain archetype: the quiet, tough cowboy who you don't want to tick off. And that's Calvin. 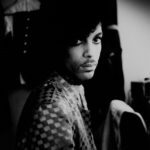 Notwithstanding his quirks he's not much different from any other character of his brand. That's not necessarily a fatal flaw, but none of the other characters in Watson's novel manage to distinguish themselves either. Bill is kind, well-intentioned but feckless, his wife, Marjorie is a cipher. Ann seems to be there mostly for a damsel-in-distress set piece ... That's not to say there isn't anything to enjoy here. Watson is excellent at building suspense, and As Good as Gone is frequently exciting in a cinematic sense. And even though the novel isn't perfect, Watson is a generous writer, and his love of the West and the people who live there shines through. What did you think of As Good as Gone?